You are moving out, and in all likelihood you’d be excited, but at the same time have you thought about the complexities you would face? Quite honestly, very few of us enjoy transfers; be it in Abu Dhabi or anywhere across the globe, yet everybody loves being in a new place. However, the eagerness of a different and new place more often than not disappears when we realize the things that need to be covered when moving out. Subsequently, why not put in a little extra effort along with the removal company, by preparing a list to facilitate our moving process ? Six Weeks: It may sound strange to you. You may be thinking what is the need to start the preparation six weeks in advance? But believe me packing is not everybody’s cup of tea. Take a look at all the stuff you have, and classify them in the items you want, and the ones you want to discard. Five Weeks: Once you have sorted all your items, get all your records and documents photocopied and registered. These could include your insurance coverage, school and medical records, electricity and water bills etc. Three Weeks: Avoid carrying stuff that will not be needed. It is no point in cluttering the new place with useless items. Remember movingcompanies are going to be charging you as per the number of boxes they have to pack for you, so the lesser the better for you. Two Weeks: Confirm your relocation with the new place. Inform the various service operators about the due dates of your bills. You may also want to either close or transfer all your bank accounts. Make sure you pick up all your items from the storage units, if any, and the things you have loaned. In addition, make arrangements to stop all your utility and delivery services. One Week: Pack up your personal luggage separately; the ones that you will need while travelling. 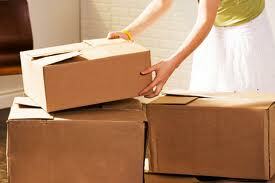 The rest can be packed and labelled in boxes by the moving company in special corrugated containers and bubble wraps. Ask for utility connections at your new home, you don’t want to end up with no light and water on your first day at the new place. Pack up your medicines. Set aside clothing, toiletry, snacks, and additional items you will be taking. One Day Before and On the Day of Move: Make a last check of every room, closet, attic, and garage. Latch and lock all the windows and doors. If you follow the above precisely, you would never go wrong! Happy Moving. 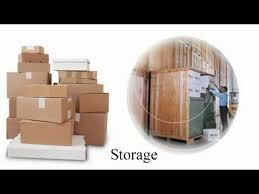 Why Do I Need Storage Facilities? As your business develops and grows, its manpower increases, and so does its spatial requirements. But, every time you add, new stuff, you can’t keep relocating to a new and bigger place can you? It is especially impossible, with the rising rates in the real estate market, to switch as and when you want. So, what do you do in situations like these? You certainly can’t continue paying heavy rentals! You just hire a storage company and drive away all your anxieties. Renovation: If you are considering a renovation of your office, or transferring to another work-place, hire a storeroom. You can make use of this space the way you want, and carry on with your other functions without being bothered. Additional Tools: You can stock up your supply, promotional materials, official documents, merchandise and samples, along with various other office equipment. This saves you a lot of space as well as gives you an assurance of the security and proper maintenance of all your documents. Archives: You may have documents or records which are decades old, which you need to maintain. Simply place them with a storage company and keep the rest of the important files with you. You can be sure of their safety and security, as most of these companies provide climate controlled rooms. Seasonal Equipment: Quite a lot of us may need certain items and equipment only in a certain month. During the rest of the year, these catalogues and registers would merely occupy space. Make use of storage spaces and drive out the clutter. So, who all can use these services? Just about anybody and everybody! If you own an apartment or an office, and you feel you have a lot of clutter in and around your space, you definitely need them.